The ancient trieres had several enemies. It could not stand storm weather without being flung on rocks or capsized: witness the many examples of wrecked fleets. It sprang readily apart if it was rammed by a one of its peers. Fire would quickly rip through a timber ship well basted in tar and pitch. A walk on the beach the other day reminded me of the real nemesis of the trieres, shipworms. 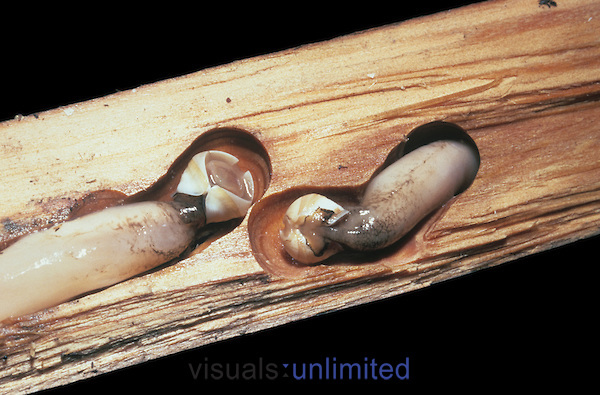 Shipworms are not worms at all, but molluscs. 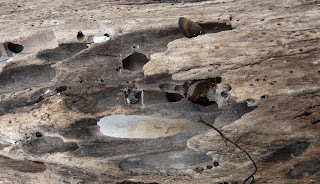 They (Teredinidae) are perfectly adapted to their lifestyle of living on bored wood, which they live within as adults, that their shells are reduced to a small but effective drill-bit and their body is elongate and worm-like. The larvae swim free and setttle on submerged wood before boring into it and spending the rest of their lives excavating tunnels within it. One valve of Teredo navalis and a close-up of the teeth which wreak the damage. 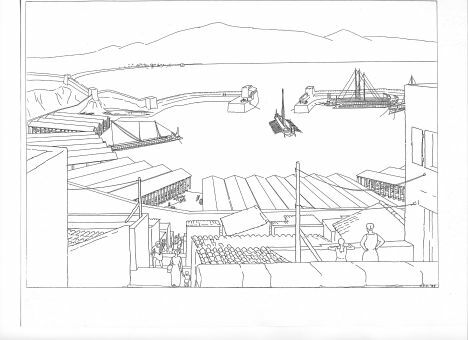 There are many references to the practice of drawing triereis up onto a beach or into a ship shed. 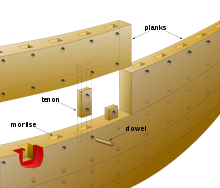 This is often explained as being in order to dry a hull out and give a ship extra speed. Ship sheds as excavated at Zea harbour, Piræus, Athens. More likely, the aim was to kill Teredinidae larvae and keep established populations under control. Because the established worms live entirely within the wood it is too late for a ship by the time signs of infestation are visible. The main strategy was to prolong ship life by making life tough for the little bastards. The British Navy resorted at great expense to putting copper bottoms on its ships in the eighteenth century. A huge expense but one which they could afford and which gave them an advantage over all other navies. The Kyrenia freighter wreck from 4th century b.c was sheathed in lead but a galley relying on speed could not adopt this strategy. An infestation could be made good by replacing planks. 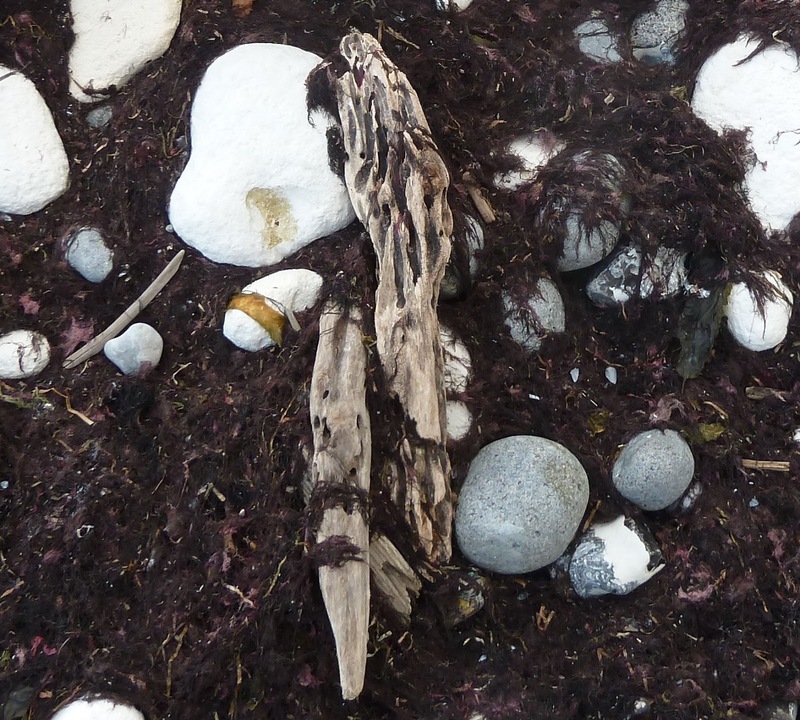 This was done to Olympias after a period of poor maintenance allowed Teredinidae to take hold. 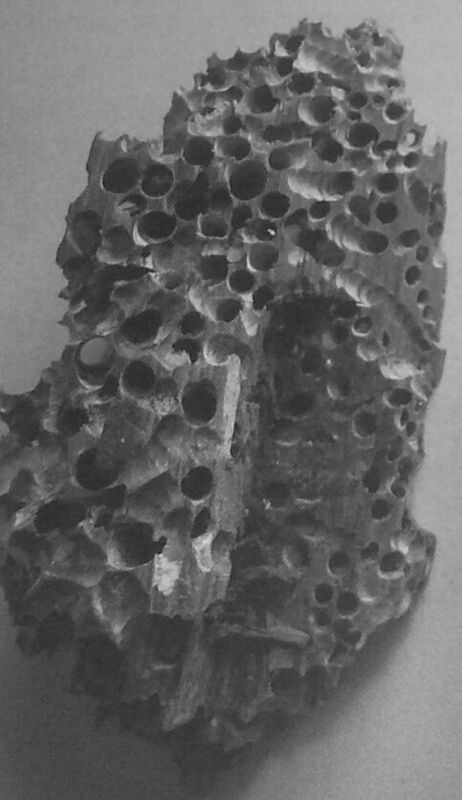 The open end-grain of dowels used to hold the thousands tennons in place were ideal entry points for Teredinidae lavae. 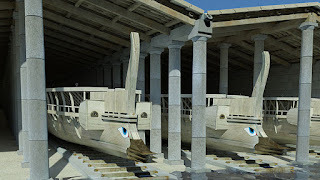 It has been argued that poor ship performance by the Persian fleet which had been in the water for a long time before the combat may have been due to weakening and waterglogging due to Teredinidae infestation. 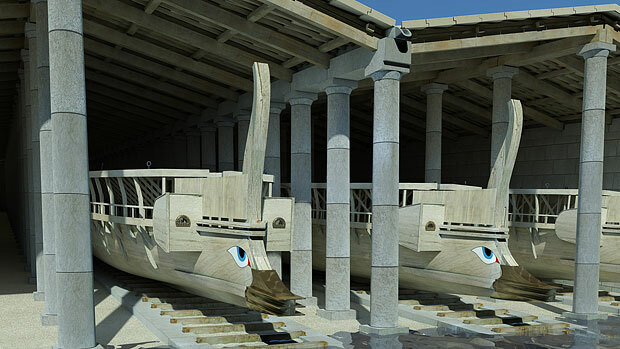 The Athenian fleet at Syracuse would almost certainly have been degraded over the time it spent inactive mainly due to Teredinidae damage. Crews who recognised the problem refusing to risk going out in the riddled hulks. This pale started as a 25cm solid trunk but its volume and strength must be reduced by at least half. Baltic Sea. No wonder the great expense of the harbour facilities at Zea and other triereis ports were outlayed.